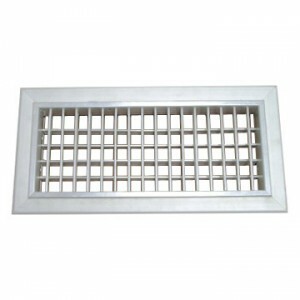 Supply Air Grille Aluminium (SAG). Material : Aluminium Clear Anodized. Harga : 1 inch - 20 inch : rp. ..... /inch. 21 inch - 30 inch : rp. ..... /inch. 31 inch - 40 inch : rp. ..... /inch. 41 inch ... detail..
Return Air Grille Aluminium - RAG. Material : Aluminium Clear Anodized. Harga : 1 inch - 20 inch : rp. ..... /inch. 21 inch - 30 inch : rp. ..... /inch. 31 inch - 40 inch : rp. ..... /inch. 41 ... detail..
Air Louvre Grille Aluminium. Material : Aluminium Clear Anodized. Harga : 1 inch - 40 inch : rp. /inch. 41 inch ke atas : rp. /inch. - Rumus cara hitung per inch dengan contoh ukuran Grille 50cm ... detail.. 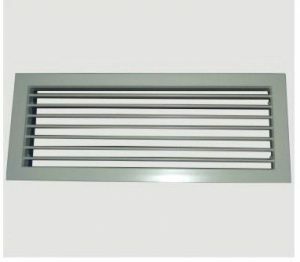 Exhaust Air Grille (EAG) Aluminium. Material : Aluminium Clear Anodized. Harga : 1 inch – 20 inch : rp. /inch. 21 inch – 30 inch : rp. /inch. 31 inch – 40 inch : rp. /inch. 41 inch ke ... detail..
Di bawah ini adalah Harga Diffuser & Grille Aluminium kami : DIFFUSER : Rp.9.500 /inch. 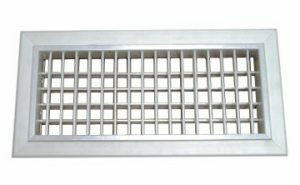 GRILLE & LINEAR GRILLE : Rp.7.000 /inch. 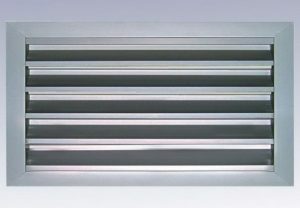 BAR & LOUVRE GRILLE : Rp.8.000 /inch. - Tambahan Harga untuk Finishing Powder Coating adalah 30% ... detail..